West Bend Dyno has been a regular stop each year along the way during OPTIMA's search for the Ultimate Street Car. This year, Brad Reikkoff and the crew there decided it was time to step off the sideline and get into the game with this beautiful 1981 Pontiac Trans Am- a car that has been in Reikkoff's family for decades. We know that dates Brad a bit, but this was actually his daily driver in high school. With the knowledge Reikkoff's team accumulated over the years of watching Faceoff and OUSCI competitors roll through their facility, they knew if they wanted to get into the field with an F-body, they'd have to really step up in a big way. While there have been a lot of F-bodies in the OPTIMA Ultimate Street Car Invitational, presented by Royal Purple and KN Filters, the inclusion of so many have made it more difficult for those that follow. What have you done that hasn't already been done better by a past competitor? Is your story better, your power, your attention to detail? For Reikkoff, it may be all of the above and then some. While his Trans Am doesn't quite approach the outright insanity of Polly Blytt's 253-mph TA, with 950 horsepower and 938 lb.-ft. of torque on tap, it enters the conversation. An LS3-based 415 cubic-inch engine is responsible for those numbers, but not by itself. A 3.3-litre Lysholm TVS supercharger with OEM electronic fuel-injection helps push it over the top. The short block has been upgraded with all kinds of go-fast parts to help handle the boost- rods and a crankshaft from Callies, MAHLE pistons and CNC-ported LS9 heads. Stainless Works headers and Borla mufflers handle the post-combustion plumbing and a Centerforce clutch sends all the power through a T56 transmission and into a Ford nine-inch rearend outfitted with 3.73 gears, a center section from Strange and Moser axles. While this car sounds like it was built to go fast in a straight line, the crew at West Bend Dyno definitely made sure it could handle the curves without the assistance of loose dirt from Hazzard County. With a front subframe and four-link in the rear from Heidt's the car has been set up to handle all that power and distribute it in all the right ways. AFCO Shocks have also been thrown into the mix, along with a strong set of Wilwood brakes for stopping duty. Reikkoff took things a step further in the build, putting the car on a serious carbon fiber diet with lightweight doors and fenders helping equalize the distribution of the weight that is left in the car, while helping offset the additional pounds from the custom roll cage. All of that is well and good, but without a driver to get the most out of it, a car like this is likely to only have a good showing in the Detroit Speed Road Rally and Lingenfelter Performance Design Challenge before calling it a day. 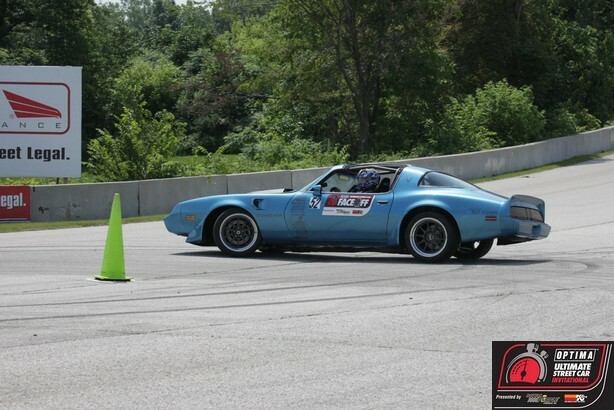 Fortunately for Brad, one of his employees and the builder of record for his car is Dennis Prunty, an amateur Wisconsin circle track racer, who proved in this year's Faceoff, that he is more than capable of turning the wheel in both directions. Prunty may be familiar to bullring racing fans, but his name is a relatively-new one in Pro-Touring circles. Folks have taken notice quickly though. 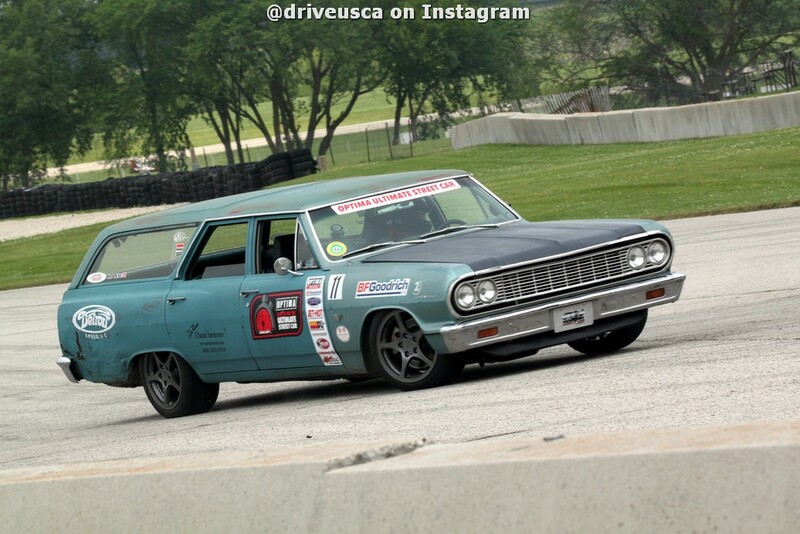 Prunty notched a top-10 finish in the BFGoodrich Hot Lap Challenge at Road America, edging out Pro-Touring icon, Bret Voelkel for the seventh spot. From there, he went over to the Ridetech autocross and somehow managed to take out the entire field, including one of the best autocrossers in the country, 2011 OUSCI champ, Danny Popp. Prunty (or the Trans Am) stumbled somewhat in the Wilwood Speed/Stop Challenge, but his performance in the other two events was more than enough to make everyone take notice and gave Prunty and eighth-place overall finish in the event. After receiving the invite to SEMA and Pahrump, Brad and the West Bend crew decided to go for broke with the car, which is how it ended up with so many of the parts we've already mentioned. On the one hand, it's scary to think of what Prunty did before they made the car even lighter and faster. On the other hand, making those changes has thrown some variables into the equation. We spotted the car on Facebook headed to the paint booth just a few days ago, so we know it will be pristine for SEMA. However, that also means it has been taken apart and put back together without events to properly shake it down and identify any issues that may arise. Did Reikkoff push the needle too close to race car and too far away from street car for the Lingenfelter Performance Design Challenge judges? Did his late-season upgrades cost him the consistency of a known performer? Did he make just the right changes that will allow Dennis Prunty to unseat Mark Stielow? We'll find out in Pahrump and we want you to be there. Buy your OUSCI tickets today!